Will the Samsung Galaxy S4 See the Same Price Cuts as the S3? 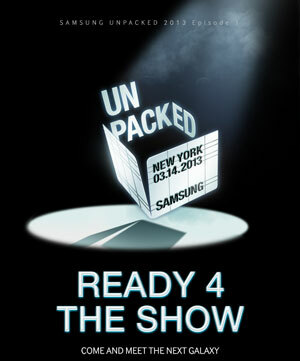 Rumor has it that Samsung will be releasing the newest addition to its fleet of smartphones on March 14. The S4 has many tech-minded people geeking out about some of the supposed upgrades too, which include touchless gestures, a much larger display, wireless charging, and eye-tracking technology that will allow users to scroll through a page just by looking at the screen. These are admittedly some pretty exciting features, and exactly the sort of tech gadgetry that makes device nerds rev their credit cards at the earliest opportunity. But come Thursday, some people might not yet be ready to jump aboard the S4 train. Maybe these shoppers will need to consider the potential awkwardness of the phone's new size, or observe whether the eye-tracking tech actually works — or just frustrates all those early adopters. Some consumers, too, might want to wait it out in an attempt to save money. Regardless of your reasoning, waiting a few months before buying an S4 will indeed net you a better price. It's a well-established fact that most non-Apple smartphones will fall below that standard $199 starting price, sometimes very soon after they debut. Eventually, most phones will become free before their replacement is even announced. But how long will you have to wait to find deals on the S4? As it turns out, you might not have to wait long at all to save on the S4. The previous generation Samsung Galaxy S3 made its U.S. debut in June and initially sold for $200. However, we listed the S3 days before its official release with a preorder price of $150. Two months later (and at the height of its popularity), we listed the phone again for $99 — a 50% price drop. By November 2012, the phone was being offered for free, and we now consistently see it for a penny on the Sprint network. For further comparison we tracked two other hot Android phones from last year, the Motorola DROID RAZR MAXX and HTC One X. Both saw deals that took 50% to 60% off within three to four months of their debut, respectively, further suggesting that a solid smartphone deal might only take a handful of months to manifest. In theory, the S4 should follow a similar pattern to that of the S3, which would mean that we'd see a deal that cuts it to 50% off just two months after it is officially released. That said, one could argue that there's far more hype behind this model than there was with the S3, which seemed to grow in significance as consumers became more aware of its high praise. The increased interest in the S4 could potentially prolong discounts, making a preorder deal, especially, less likely. Even though waiting two to four months for a deal isn't that bad, all things considered, when the deal does pop up, it won't last forever. To make sure you don't miss it, set up an email alert now to receive notification as soon as we post it to the site. Which Carrier Sees the Best Deals on New Cell Phones? Let's Discuss: Is Walmart's Straight Talk Wireless Service Any Good? S3 without a contract runs slightly under $500 right now. That's about 17% drop from full retail. There's no point to compare subsidized price. If that was the case, S3 is going to be 100% off in a couple of months. Does dealnews think we are a bunch of morons? Amending my previous post, I meant subsidized pricing. Not sure why I typed subsidized processing. I agree with smiley47 too. Korea will get their hands on first, then maybe April or May, we should get them. For Verizon, it will take additional two months or so. They need to put their logo on the center button LOL. @smiley47 We agree with you, which made us realize the error in our feature. It's been updated to fix that. Thanks! I totally agree with the amount of discount you are predicting but disagree on the timing. While the S4 will be "introduced" on March 14, I'm betting it won't be available for purchase in the U.S. until later in May possibly June like the delay for the S3 sale after introduction.